Bulgaria’s Environment Minister, Nona Karadzhova, said that from January 2007 until July 2009 all Ministers from the previous, Socialist-led cabinet, have voted yes on the import of GM food. Karadzhova spoke Saturday in an interview for the Bulgarian TV channel bTV. The Minister pointed out that panic regarding genetically modified organisms (GMO) has been spread among Bulgarians on purpose, speculating with people’s fears. Karadzhova insists that as a member of the EU, Bulgaria must adhere to the European procedures and the GMO Act aligns Bulgarian legislation with the European laws. According to the Minister, a registry of all food containing GMO needed to be generated as early as 2006, but nothing had been done. Health Minister, Bozhidar Nanev, had ordered the establishment of such registry only a month ago. Karadzhova pointed out that, on the example of the Austrian Environmental Ministry, the Bulgarian Cabinet proposes a safeguarding clause in the GMO Act. On Friday, the ruling GERB party proposed that all cultivation of GM crops should be banned for 5-years, in a change to the new GMO Act. The GMO Act submitted by the Environment Ministry, provides for the elimination of the current ban on cultivating and trading GM farming products. The second reading in the Parliament is scheduled for March. 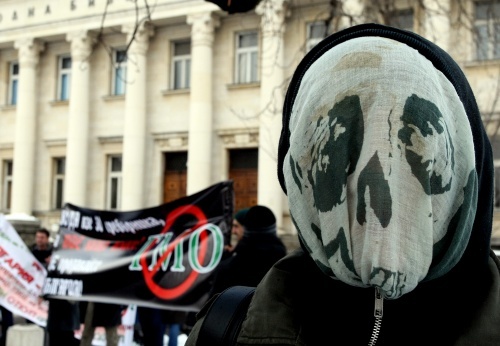 The amendments in the GMO Act triggered a strong reaction from environmentalists and civic organizations in Bulgaria, who voiced their disagreement through numerous petitions, declarations and rallies.